They want financial aid, medical facilities, schools for their disabled children and a tribunal to book those responsible for the pesticide tragedy. 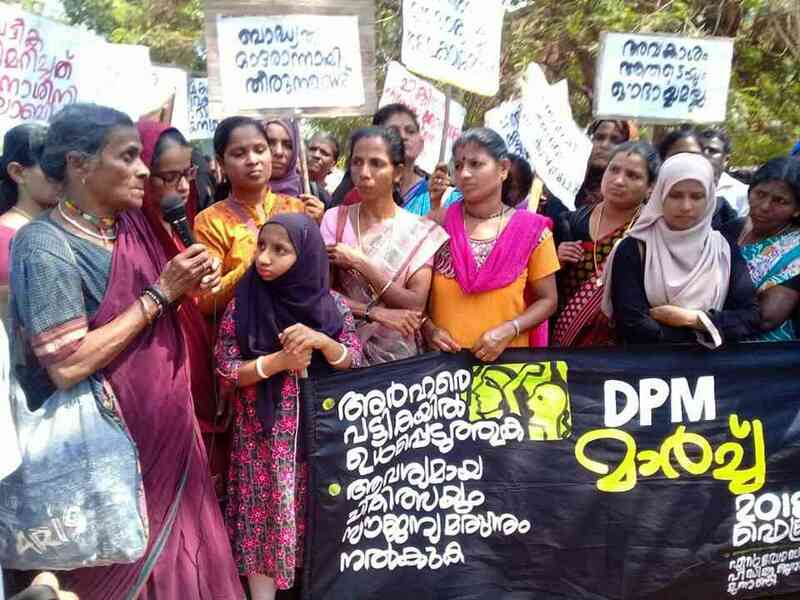 On Wednesday, 25 mothers who have travelled with their disabled children from Kerala’s northern district of Kasargod to state capital Thiruvananthapuram, nearly 600 km away, will start a hunger strike in front of the Secretariat demanding justice for the victims of endosulfan poisoning. They represent thousands of victims back home who have been fighting a long and frustrating battle demanding financial aid, adequate rehabilitation packages and healthcare facilities. The victims had held several rounds of agitations such as rallies, sit-ins and hunger strikes in the state capital in 2012, 2013, 2014, 2016 and 2018, seeking the attention of the governments in power. The agitations were organised by the People’s Movement for Endosulfan Victims, formed in 2012. This organisation has brought together the victims of endosulfan poisoning, many of whom are disabled children. People living in more than 20 gram panchayats in Kasargod district were exposed to the insecticide endosulfan – a highly potent neurotoxin – between 1975 and 2000, when the public sector Plantation Corporation of Kerala sprayed the chemical aerially on its 12,000-acre cashew estates. Its residues spread far and wide via wind and rain, leaving a trail of destruction in the district and neighbouring regions of Karnataka, killing more than 1,000 people. It poisoned more than 6,000 people. Thousands of children were born with congenital disabilities, hydrocephalus, diseases of the nervous system, epilepsy, cerebral palsy, and severe physical and mental disabilities. Muneesa, one of the leaders of the agitation, has partial blindness because of her exposure to endosulfan. (Photo credit: TA Ameerudheen). 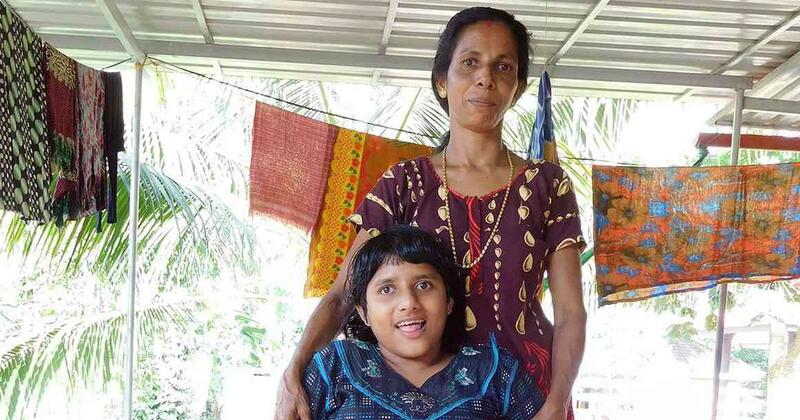 “We have learnt no choice but to fight,” said Muneesa, 34, an endosulfan victim and leader of the movement. Medical tests have established that her partial blindness was caused by the pesticide. She lives close to a cashew plantation in Kasargod. 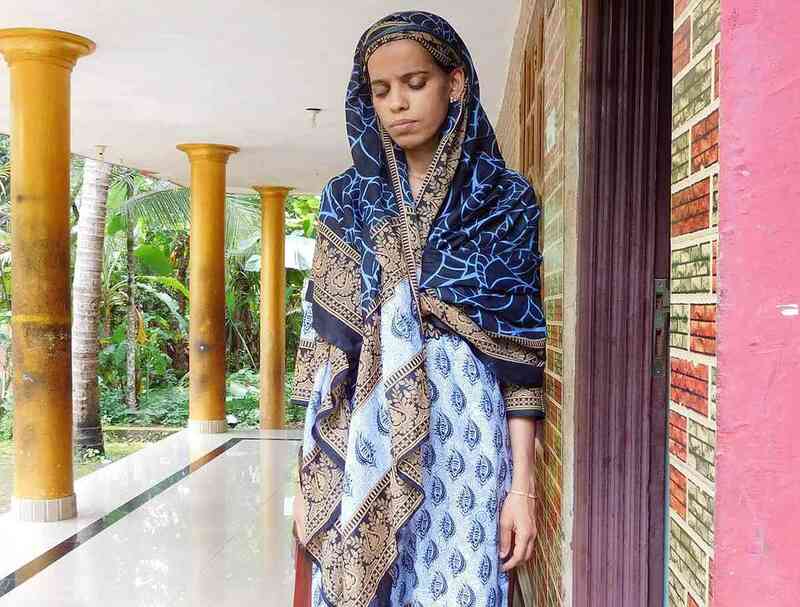 In 2012, the victims had staged a 128-day strike in Thiruvananthapuram, which was called off after the government agreed to all their demands, including giving financial aid and setting up of treatment facilities. A year later, when the government failed to keep its promise, the women and children returned to the state capital to agitate once again. It lasted 36 days, and was called off after they received another set of assurances from the government. On January 26, 2014, the women again began an indefinite strike in front of the Thiruvanathapuram home of Oommen Chandy, who was then the chief minister. It was called off two days later, after Chandy assured them that he would give them aid. But government inaction once again forced the women and children to travel to Thiruvananthapuram to hold a hunger strike from January 26, 2016, which continued till February 3. The agitations, along with legal fights, have helped many victims get financial help as recommended by the National Human Rights Commission almost a decade ago. The commission, in its order dated December 31, 2010, had asked the state government to disburse Rs 5 lakh to seriously ill and bedridden victims, and Rs 3 lakh for other victims within eight months. When the state government failed to comply with the order, the Supreme Court intervened. In an order dated January 10, 2017, it asked the state government to disburse Rs 500 crore to over 5,000 victims of endosulfan poisoning within three months. However, leaders of the movement said that the majority of the victims are yet to receive the compensation. “Of the 6,212 victims, only 2,665 received the monetary help, while 3,547 people are still waiting for it,” said Ambalathara Kunhikrishnan, who has been leading the agitation since 1998. 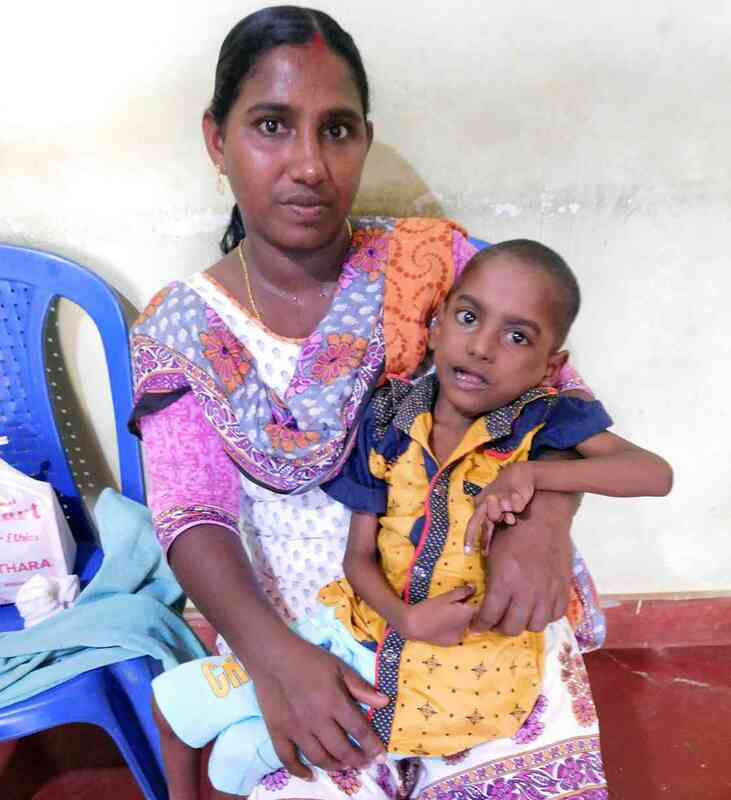 Endosulfan victim Mithun, 8, on his mother Sumathi's lap. Mithun is unable to stand on his own due to impaired visual-motor coordination. (Photo credit: TA Ameerudheen). The victims have alleged there are discrepancies in the list of beneficiaries prepared by the government for the financial aid. The government has been revising the beneficiary list periodically after conducting medical camps. This exercise is held to include in the list children born with health problems to parents who were exposed to endosulfan. In 2000, the total list of endosulfan victims had 4,182 names. The number rose to 5,849 later, with the addition of 1,318 victims in 2011 and 349 in 2013. It stands at 6,212 with the addition of 363 victims in 2017. But a top health department official denied the allegation. He said his department had never prepared a list of 1,905 victims in 2017, as Kunhikrishnan had claimed. “We conducted many screenings to select eligible candidates and picked only 363 victims in 2017,” said Dr Raman Swathi Vaman, the Kasargod district programme manager of the National Health Mission, who is also in charge of collecting the data of the endosulfan victims. Asked why the number of new victims was reducing each year, he said this is because there has been no fresh exposure to endosulfan. “Spraying was stopped in 2001, hence the number is decreasing,” he said. 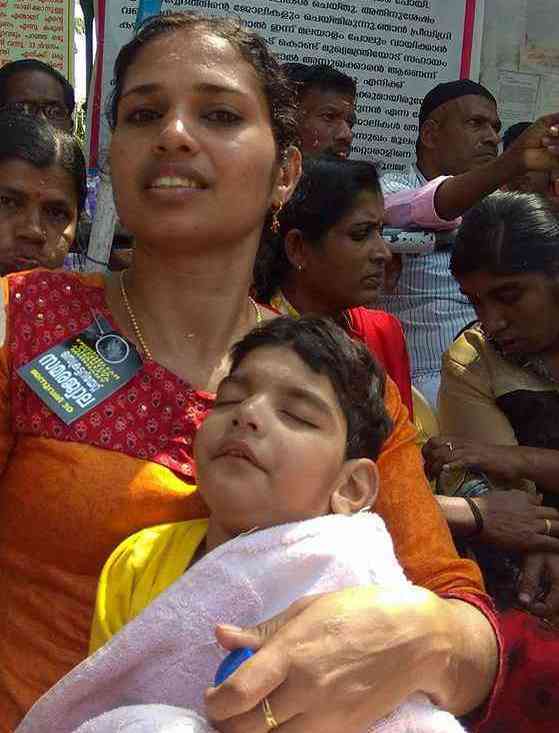 A mother with her son at the protest organised in Thiruvananthapuram in January 2018. (Photo credit: FB-Endosulfan Peeditha Janakeeya Munnani). Their other demands include the formation of a tribunal to bring the culprits of this catastrophe to book, and the setting up of special schools for the victims. 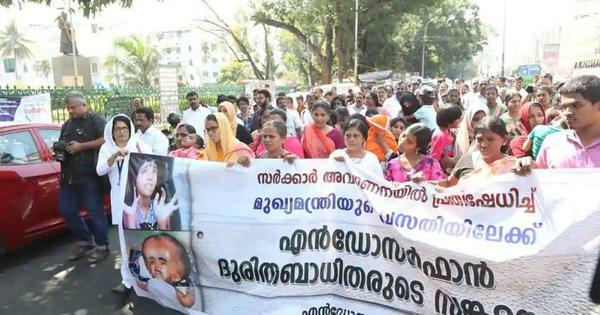 Protest march by the mothers of endosulfan victims. (Photo credit: FB-Endosulfan Peeditha Janakeeya Munnani).